Travellers to Zante who experience food poisoning or any gastric illness caused by poor hygiene can rely on the provisions of the 1992 Package Travel Regulations to claim compensation, but only if they paid for flights and accommodation from the same holiday company. 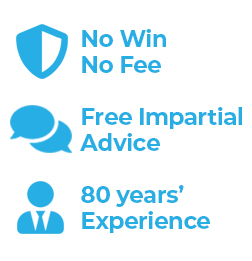 Our holiday lawyers can help you with your complaint on a no win no fee basis. Diagnosed with bacterial food poisoning on your return from Zante? Was your holiday ruined E coli – Salmonella – Campylobacter? Looking to claim compensation from First Choice or Thomson? Ill on holiday in Zathynkos – Holiday Claim? Simpson Millar LLP's Holiday Illness Lawyers are experts in Zante illness claims and we regularly exceed our clients expectations where the amount we recover is concerned. Why leave your claim to chance – contact our specialist holiday illness lawyers today. Freephone the Zante Illness Experts on 0808 145 1353. If you are aware of a hotel in Zante where UK guests have been subjected to poor hygiene standards and food poisoning please contact us and we will investigate and raise concerns with the tour operator involved. Holidaymakers should not tolerate poor hygiene, dirty swimming pool water, and/or food poisoning whilst travelling with tour operators such as Cosmos – First Choice – Thomas Cook or Olympic Holidays. If you or a member of your family have been diagnosed with Food Poisoning caused by bacteria, i.e. Salmonella, Campylobacter, E. coli or a waterborne parasite such as Cryptosporidium you are entitled to claim compensation for your sickness. A Greek island that’s just 18 by 40 kilometres – about the size of the Isle of Man – Zathynkos has a large number of tourist attractions. If you stray inland, you’ll discover vineyards, mountains and hamlets. On the coast, meanwhile, it’s sunshine and sand with numerous hidden coves and sandy beaches. Tsilivi is located on Zante’s north-east coast. It’s a short distance from the islands international airport and only 3.5 miles from the islands capital, Zante Town. The town has been developed for tourist but there remains plenty of Greek charm. You will find quiet havens where pensioners play backgammon although plenty of bars and restaurants in the town centre. Laganas, situated on Zathynkos’s south-east side, is the islands tourist capital. It’s the largest and liveliest place on the island and it attracts the young and the party crowds. The resort is spread out but the main strip cannot be missed with its noisy bars, clubs and tavernas. Zante Town is the islands capital, with excellent shopping and plentiful tavernas. The centre of the capital, Solomu Square, is an area that is great for walking, with the restaurants and bars that line the triangular marble piazza which is often pulsating with locals and tourists alike. If you're looking the loggerhead turtle why not visit Kalamaki. The sand is soft and deep and holidays here are relaxing. Watch the world go by in this rural village which retains its Greek charm. Alykanas has beautiful sweeping beaches, whitewashed tavernas and it loves tourists who flock to this traditional village during the summer months. There are three sun-bleached beaches, village houses nestled in the hillside, and friendly locals who will guarantee that you have a great time. But what if things go wrong? E. Coli Fact: Holidaymakers who suffered from E coli whilst on holiday with Olympic Holidays or any other tour operator are entitled to claim compensation for pain and suffering and loss of bargain and loss of enjoyment. E. coli is a nasty infection often caused by food poisoning and poor hygiene at your hotel. Cryptosporidium Fact: Holidaymakers exposed to filthy and contaminated swimming pool water often inadvertently consume faecal matter containing the cryptosporidium or giardia lamblia bug. The symptoms often include diarrhoea – fever – stomach cramps and bloody stools. Campylobacter Fact: Most holidaymakers infected with campylobacter infection will recover on their own, provided they avoid becoming dehydrated. Symptoms of dehydration include weakness, drowsiness, fast breathing, sunken eyes, or passing low volumes of urine. Salmonella Fact: There are approximately 2000 different types of salmonellae that cause illness in travellers. Infection with salmonella causes gastro-enteritis commonly presenting with symptoms of profuse diarrhoea, abdominal pain, fever, headache and nausea. Simpson Millar LLP's Holiday Illness Compensation Team has an enviable reputation for successfully winning holiday compensation from tour companies on behalf of frustrated and often ill travellers who have endured a holiday nightmare in Zante. Our skilled lawyers have worked for all of the major holiday companies including: Manos, Thomas Cook, Sunset, Airtours, First Choice Holidays, and Thomson, and we understand how to successfully claim compensation for travellers who are ill on holiday in Zante. Call our team now on 0808 145 1353 and speak to one of our travels lawyers or simply complete our holiday illness claims enquiry form. With offices throughout the UK and associates worldwide you get the reassurance that your holiday claim will be handled by those who have worked in the holiday industry for many years.